tommEE pickles blog of illusion: More Magic on TV including Neil Patrick Harris! More Magic on TV including Neil Patrick Harris! Ye olde 2015 is showing signs of being an amazing year for magic on television. Here are some a few items airing the first week, with more to come next week and throughout the month. 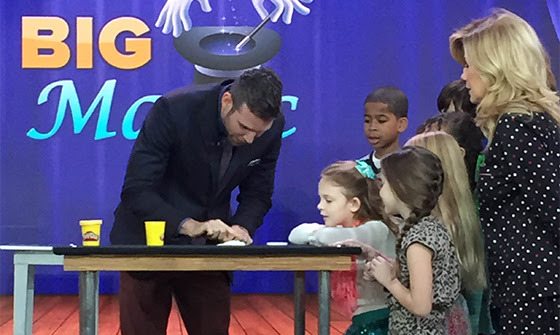 In a pre-taped segment for the Today show, Joshua Jay makes his third appearance on the program, this time promoting his new book, Big Magic for Little Hands. Michael Carbonaro’s hidden-camera magic show that fools onlookers without making them feel they’re watching a magician continues. This week’s episode, titled “Ignasaurus,” offers Michael a chance for a little quick-change work with a T-shirt. Watch a trailer for this episode. 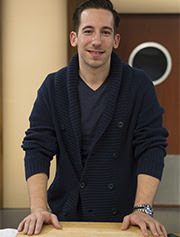 NYC magician Michael “Six” Muldoon will be one of the “kitchen-challenged” recruits competing for a $25,000 grand prize for the contestant who makes the biggest “culinary transformation.” Michael will attempt to cook food that fits his magicial personality, such as making a cake from spaghetti and meatballs. The show, in its sixth season, runs for seven episodes. Of course, no one is talking as to how many of those episodes Michael will appear on. 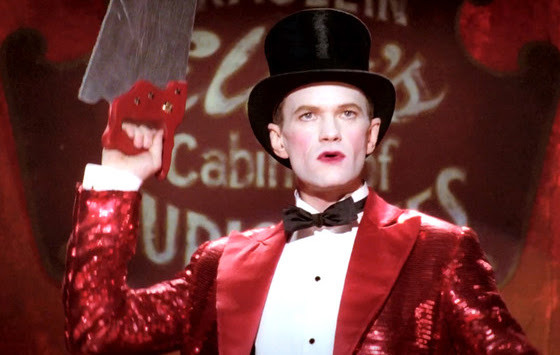 Neil Patrick Harris makes his appearance in the 11th episode of this, the show’s fourth season. He plays Chester, the new owner of the freak show. The trailer reveals Harris charming conjoined twins, as well as sawing someone in half. The season wraps up the following week. Watch a trailer for this episode.